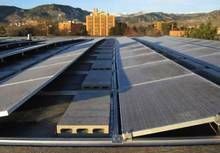 University of Colorado Boulder, Solar panels on Coors Event Center roof. 100% renewable electricity community wide by 2030 as part of climate strategy. 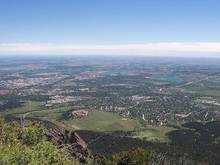 Boulder is a small city of approximately 97,400 people located in the state of Colorado Rocky Mountains. In December 2016, the City Council voted to adopt climate goals that commit the City to 80 percent reduction in community greenhouse gas emissions below 2005 levels by 2050, 100 percent renewable electricity by 2030, and 80 percent reduction in organization greenhouse gas emissions below 2008 levels by 2030. The plan goes beyond goals previously set in 2012. At the time of the plan's adoption, 99% of Boulder's energy for electricity, heating, and transportation came from burning fossil fuels. Roughly half of the City's greenhouse gas emissions were coming from electricity. Approximately 22% of electricity was being generated by renewables, with approximately 30 MW of local renewable power generation installed. More than half of this was local solar installations, which have risen quickly in popularity in receny years. Boulder's 100% renewable electricity plan calls for an interim goal of 40% renewable electricity / 50 MW local installations by 2020. By 2030, an all renewable electricity system aims to include 100 MW of local renewables, with that number increasing to 175 MW by 2050. The increase in renewable power installation stems from the City's strategy to move toward 80% electrification, which will demand greater electricity supply to cover new end uses, such as electric vehicles and heat pumps to replace equipment formerly supplied by natural gas. 1. 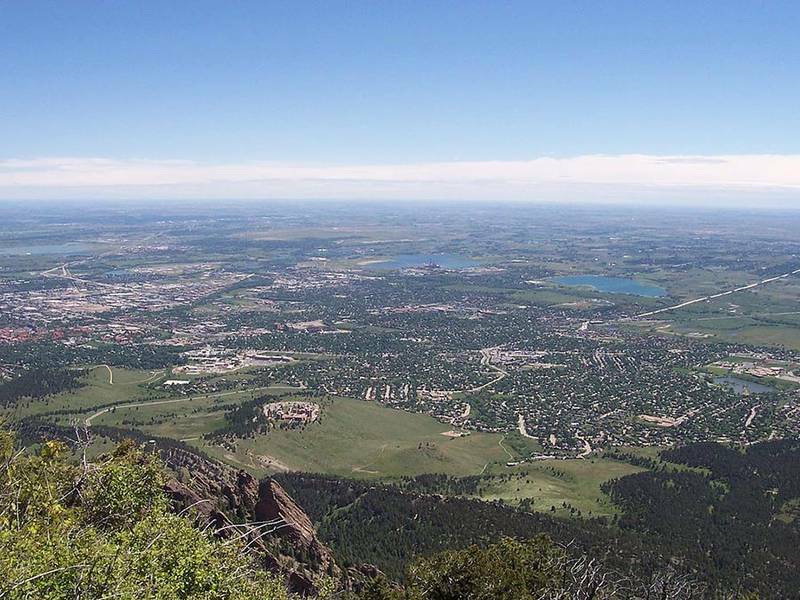 Reduce - Through city-funded pilot projects, Boulder aims to integrate efficiency with on-site generation and natural gas and petroleum replacement strategies. Additionally, the City plan calls for increasing efficiency by expanding demand side management services through implementation of a municipal utility in lieu of the historic investor owned utility. Reducing also applies to costs. Boulder's plan seeks to lower costs of owning on-site solar by establishing collective purchase agreements that allow groups to own solar projects, which can help reduce the overall demand for the municipal utility to supply electricity and scale up renewable energy procurement or installation. 2. Replace - By 2018, the City aims to replace the local investor owned utility services with a municipal electric utility. The City plan also includes analysis of renewable generation and storage opportunities to replace fossil generation, as well as strategies for replacing natural gas and petroleum-based transportation. 3. Redesign - The plan also includes mapping critical community infrastructure and operations and strengthening resiliency and protection against power failure.